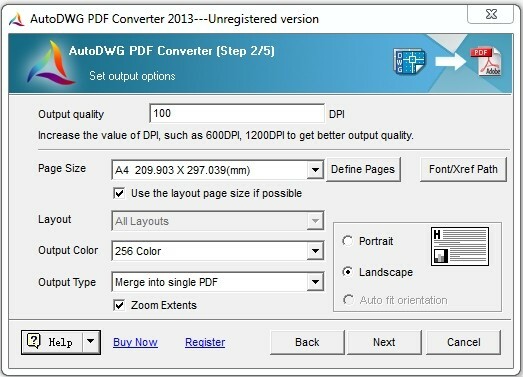 AutoDWG DWG to PDF Converter, Faster than ever! It is simple to search text in output PDF. Remember to select “Retain TrueType Fonts” on step 4, the True Type Fonts will be searchable in PDF after conversion. You may set passwords to protect the output PDF, and permissions to restrict printing, copying and further modifications for the converted file. You can customize your own watermark-text, font, size, rotation, hyperlink, etc. It can be your company logo and anything you wish. 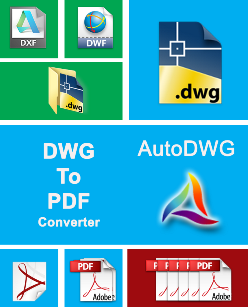 The latest version of this DWG to PDF Converter 2019 has been released recently. 1. Why cannot SHX font be converted to searchable text in PDF file? SHX font cannot be created as searchable text in PDF file yet, as SHX font was created with lines rather than texts in converted PDF. 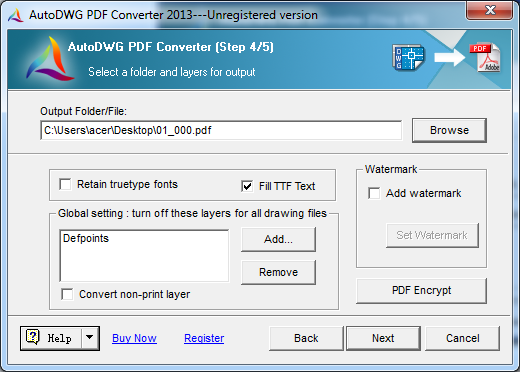 This simple converter helps you batch convert DWG, DXF and DWF to PDF without AutoCAD. Higher value such as 1200 DPI for better output quality, and this will increase the created *.pdf file size. This allows you set the size of the paper. Let you Add or Edit the page size, this will take you to another dialog box, you may click on "Add" to create new page size name, and from the list double click on the new item, then you can set up the customized page size in mm or inch. The layout page is set for printing which should include the page information such as page size, orientation, etc. So after you choose this option, the converter will check these information automatically. 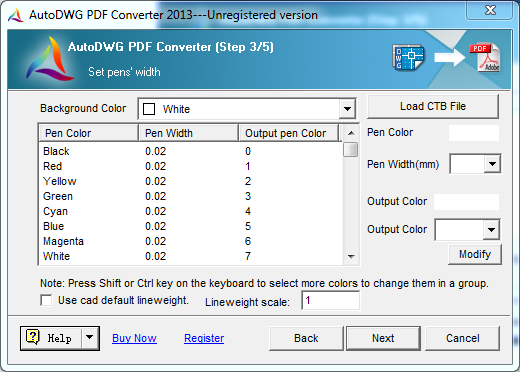 If the information is existing, the converter will use it instead of the page size set in the converter. If the text quality is not satisfactory such as replaced or size changed, please add the SHX font directories to the SHX font directories list. Choose form 0 ~ 255 AutoCAD color index. For example, to batch convert 12 DWG files to 12 separated PDF files, file created as same names, only the extension file name changed to *.pdf. 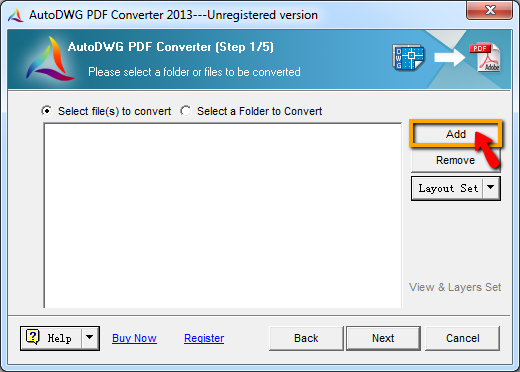 For example, to batch convert 12 DWG files to 1 single PDF file, DWG files are converted as several pages in this PDF file. Allows you to create several PDF files, there is only 1 page in each PDF file, which converted from 1 layout of the DWG file. 256 level color, Black & White, 256 level gray are the options color and weight column. CTB Line weight and color will be appload and shown in the table. Use the current drawing line weight and color setting to convert. In order to reduce the output file size, please uncheck the box of "Fill TTF Text" in step 4/5. If a drawing contains True type fonts, as the texts increasing, the output PDF file size will be enlargement. This is because characters carry font styles and solid entities. It is the solid entities cause the enlargement of the output file size. When convert the drawing to a PDF, if you would like to get a smaller size of the PDF, please unselect "Fill TTF Text", and the converted texts will only preserve the font style but the solid entities will lost. As a result, the converted PDF file size will be much smaller and the process of the conversion will take less time. However, if you leave the box checked in step 4, you can still get the filled texts in a converted PDF. To add watermark, please check the 'Add Watermark' box and click on the 'Set Watermark' button. Open or save a watermark: Click on the 'open' or 'save' button to open an existing watermark or save the current watermark in a specific path and name. Insert test watermark: You can freely add texts in watermark and set text fonts, height, rotation, alignment and position on layouts. Insert image watermark: Add company logo or other images as watermark to preserve your copies of intellectual drawings. 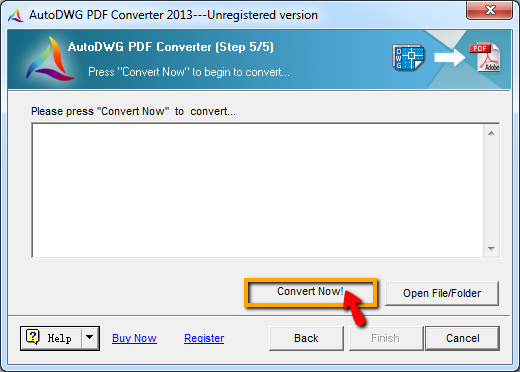 The conversion will take a few seconds, when it is complete, you may view the created PDF by clicking "Open File/Folder". Otherwise, click "Cancel" to exit. Can I use the original drawing size to convert? How to convert dwg text to searchable text in the pdf? I would like run the program with command line, which license I need to purchase?